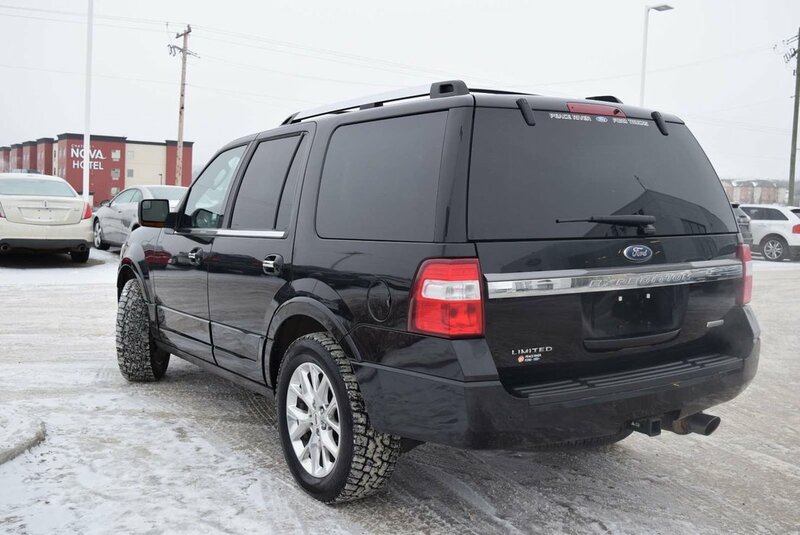 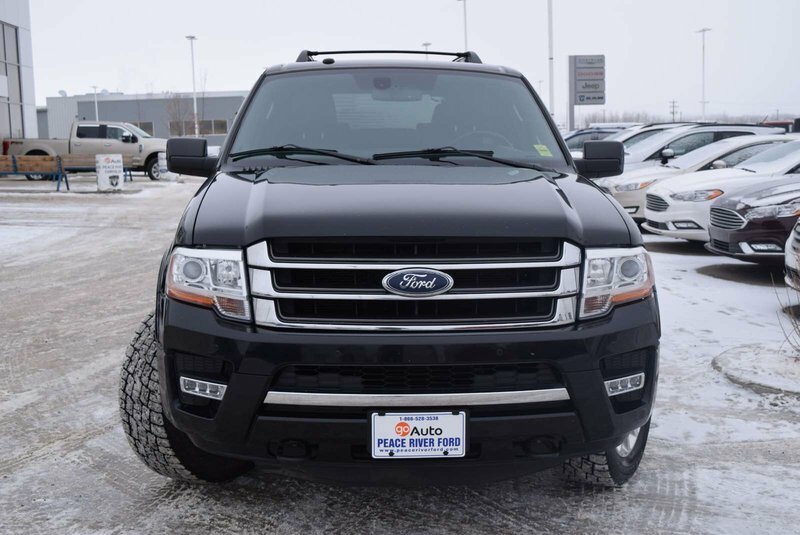 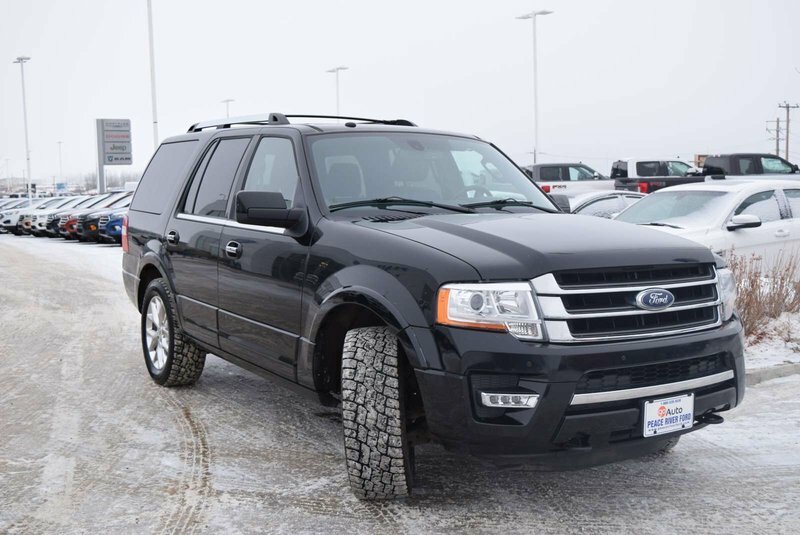 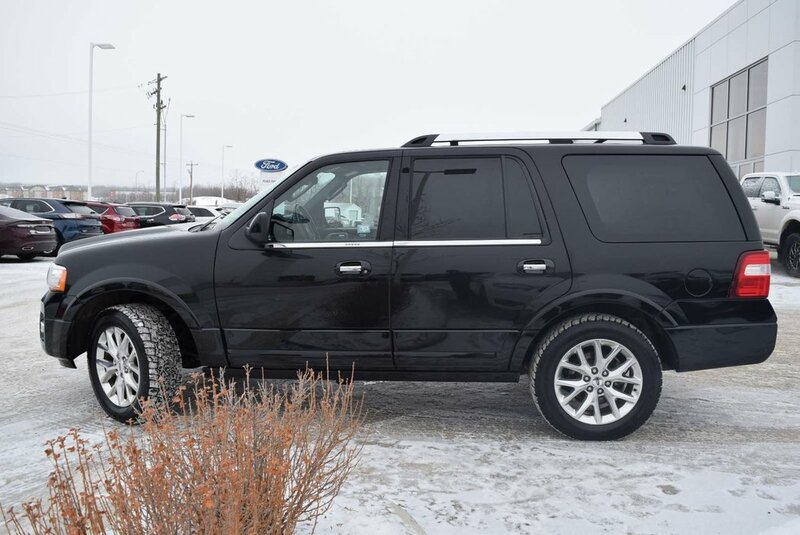 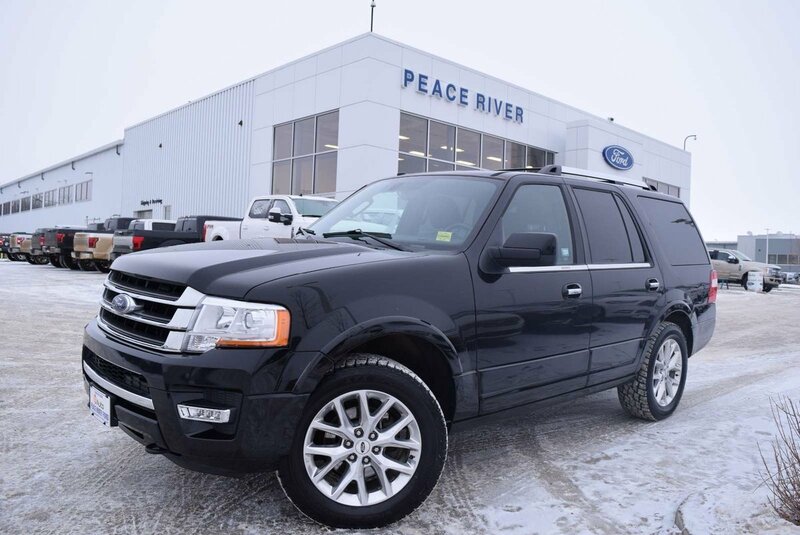 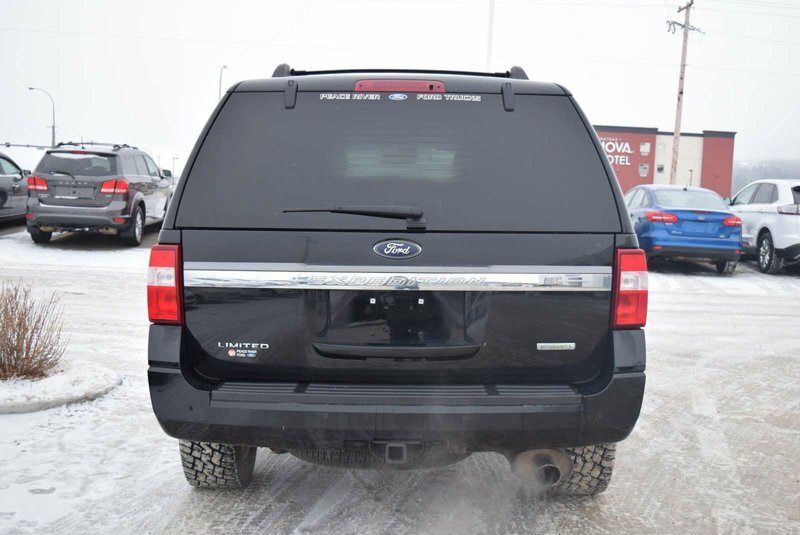 Arrive in powerful style in our spectacular 2017 Ford Expedition Limited 4WD that turns heads in Shadow Black! 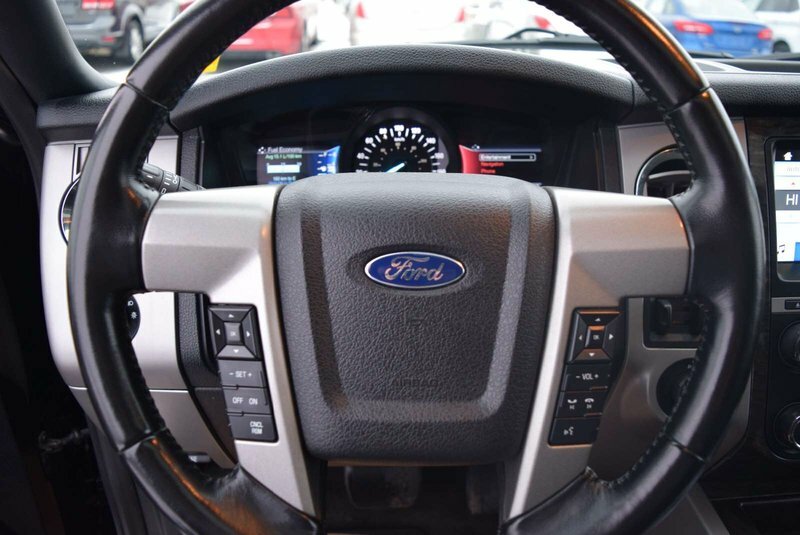 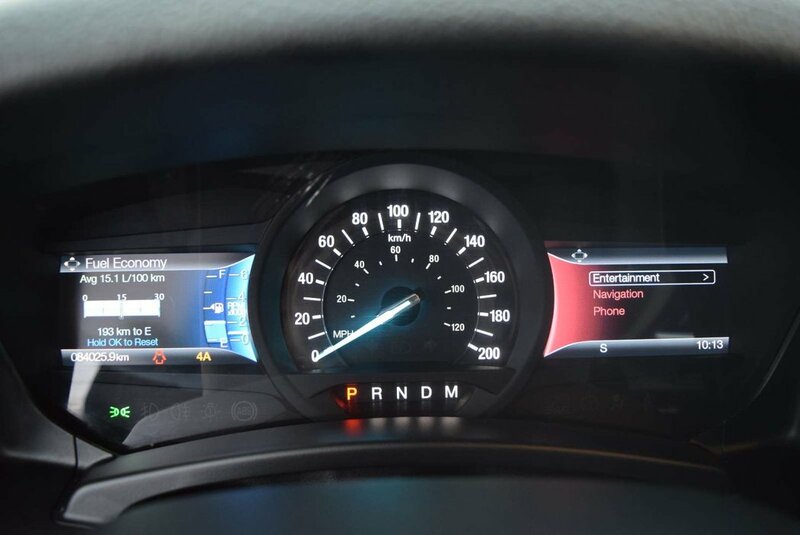 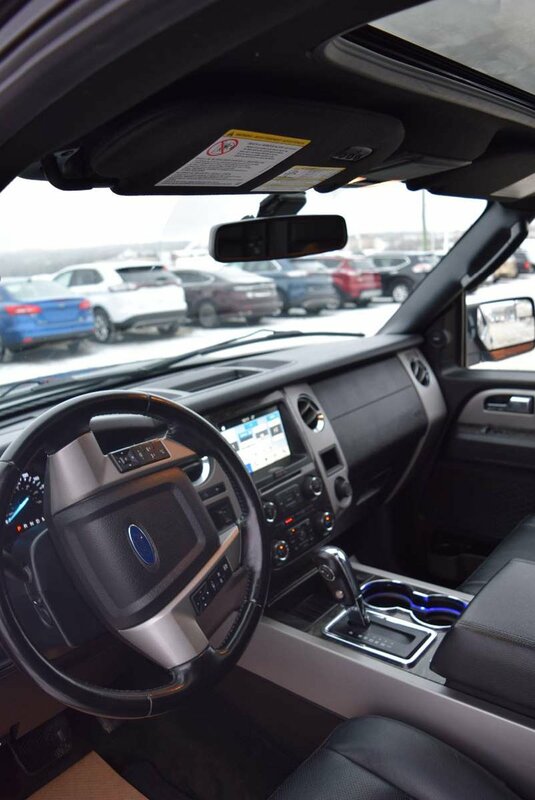 Powered by a TurboCharged 3.5 Litre EcoBoost V6 that provides 365hp and 420 lb-ft of torque that maximizes performance with its 6 Speed SelectShift Automatic transmission, you will love every second of driving! 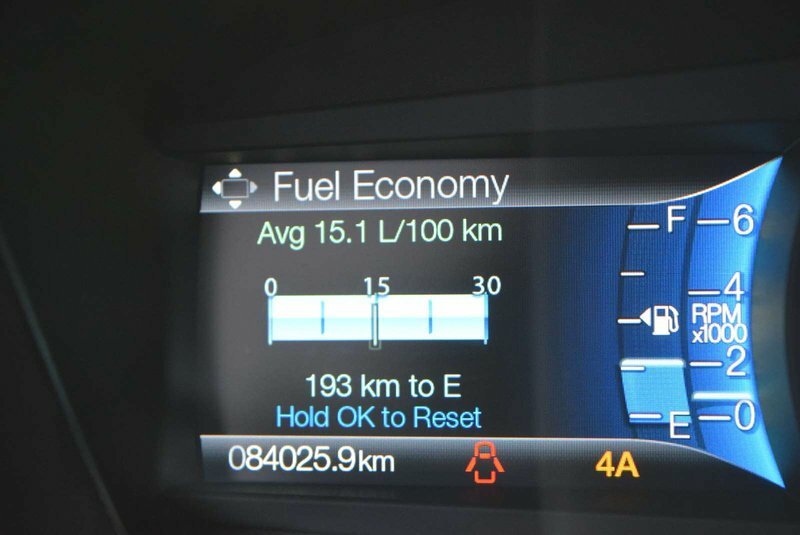 Dominate any terrain in this sure-footed Four Wheel Drive Expedition Limited and still score nearly 10.7 L/100km on the highway. 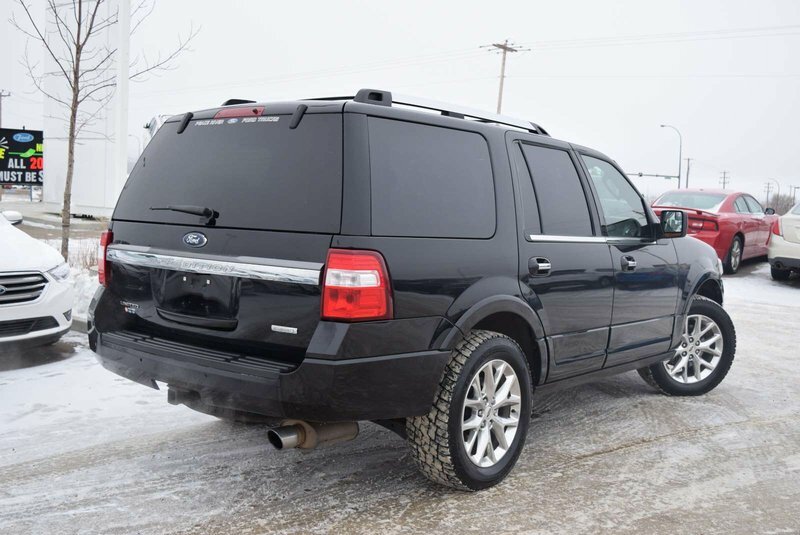 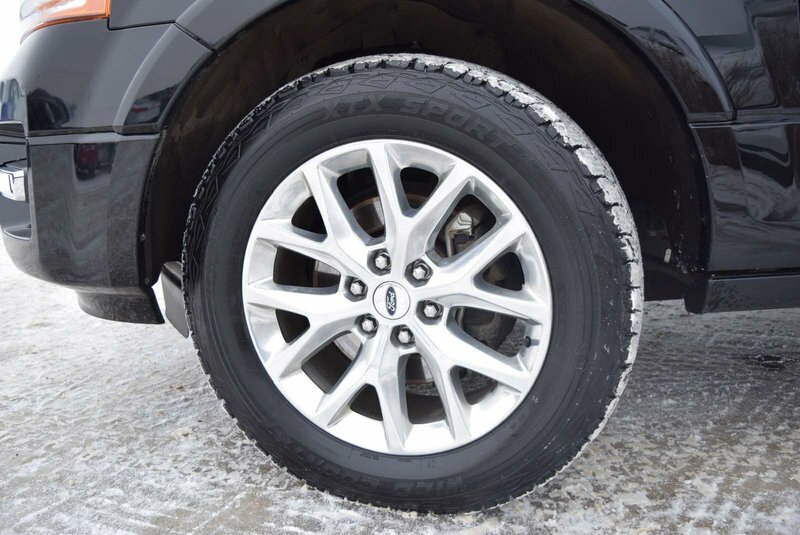 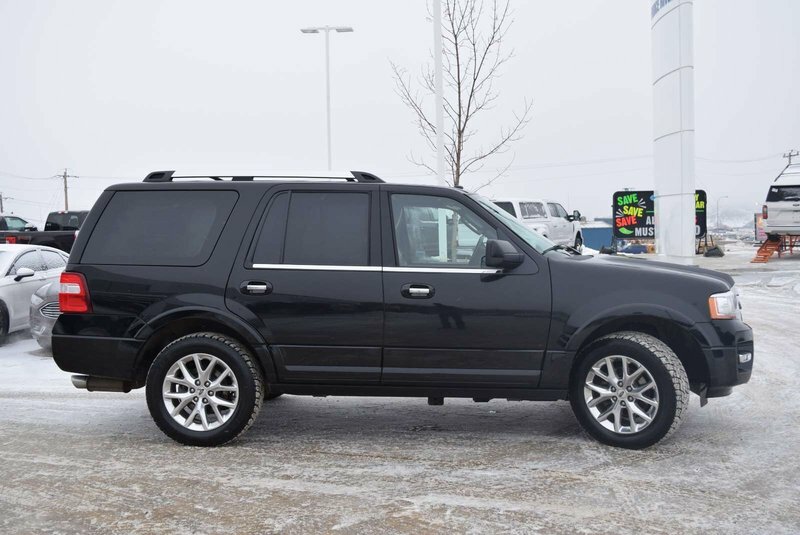 Enjoy this sporty and convenient SUV that is beautifully complemented by polished aluminum wheels and distinct chrome accents! 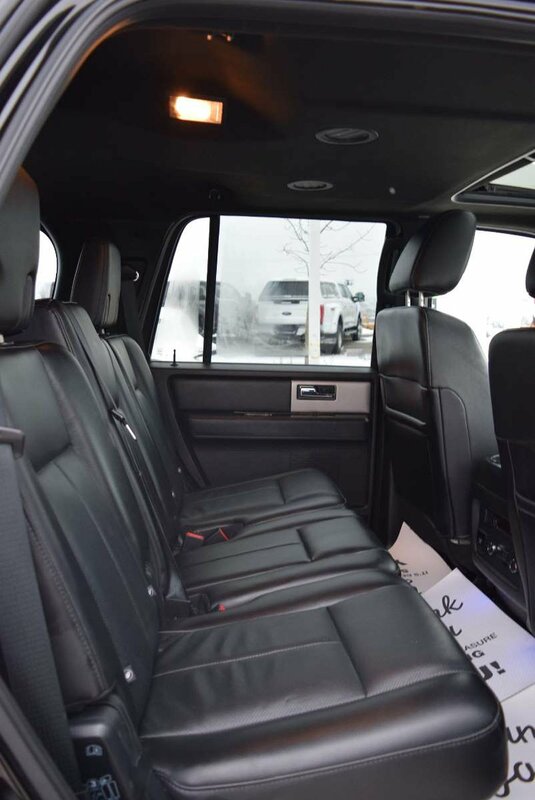 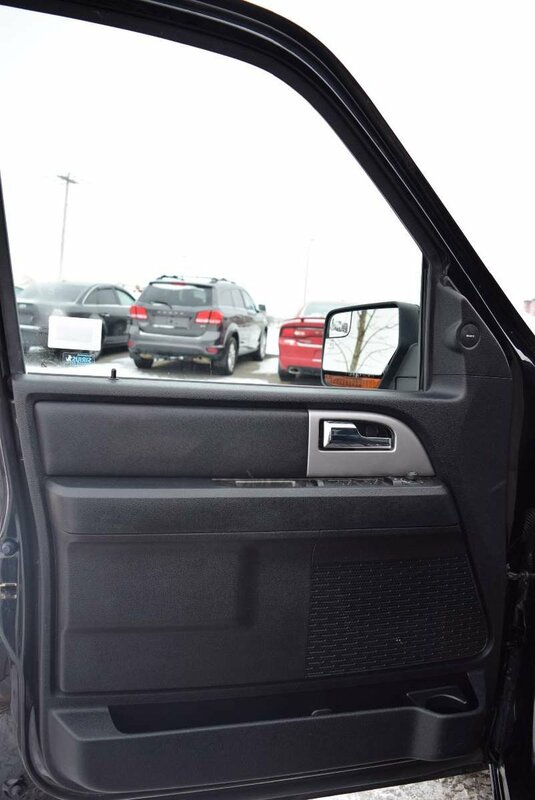 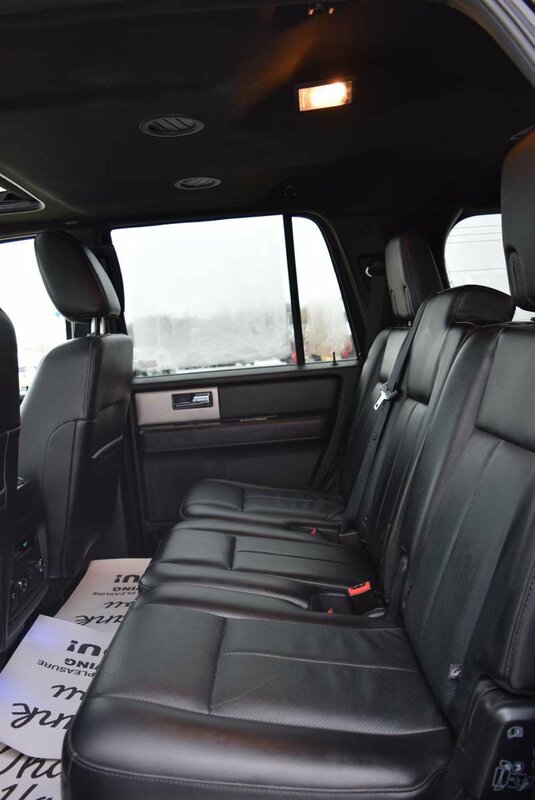 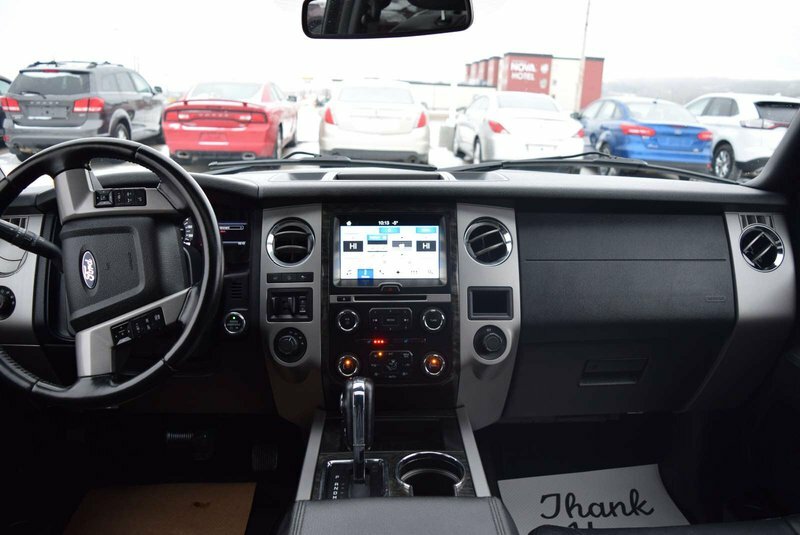 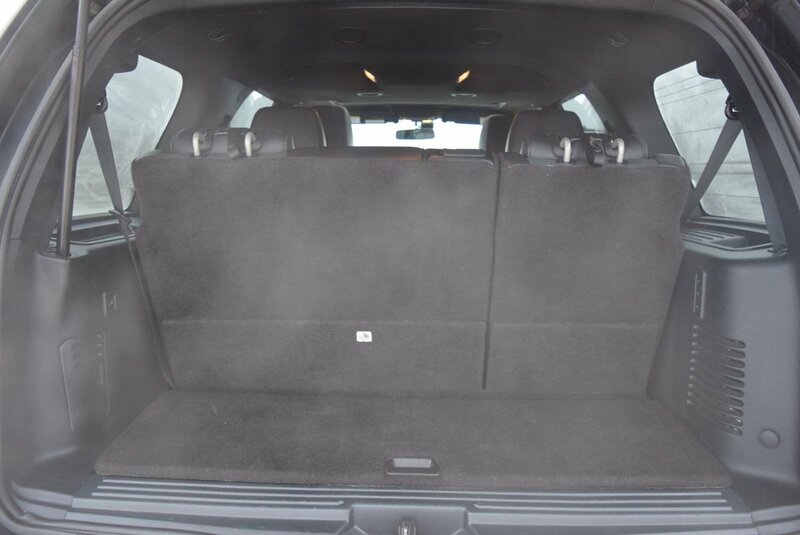 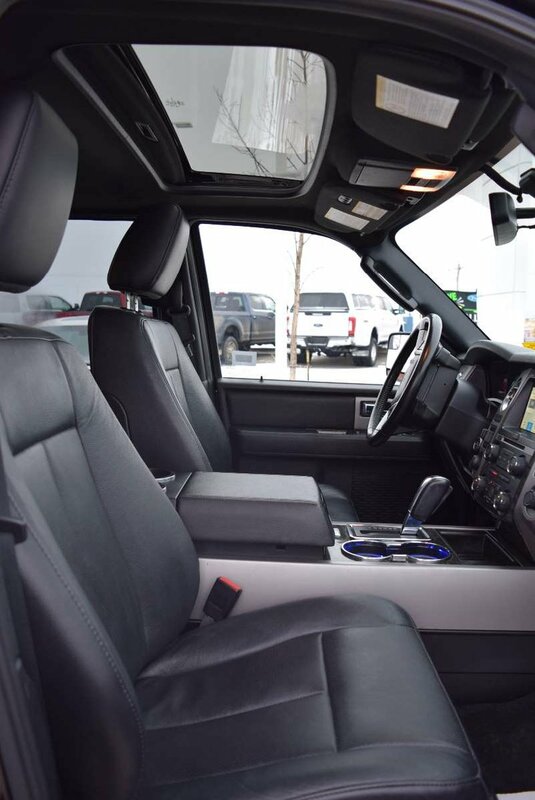 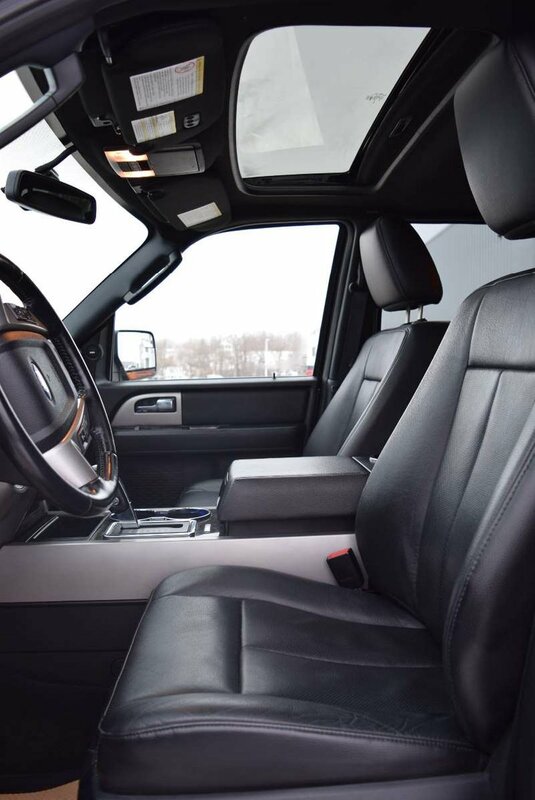 Once inside our Limited, enjoy heated and cooled perforated leather front seats, heated rear seats, ample lighting and storage, and power options for all of your devices. 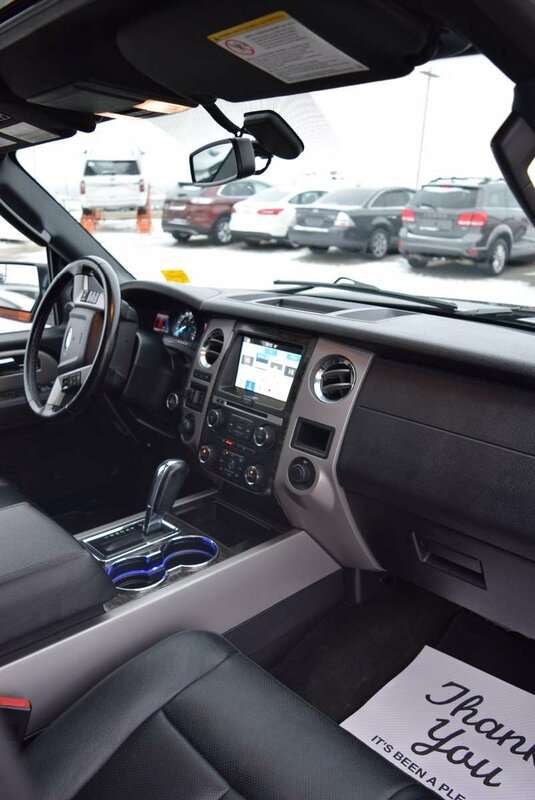 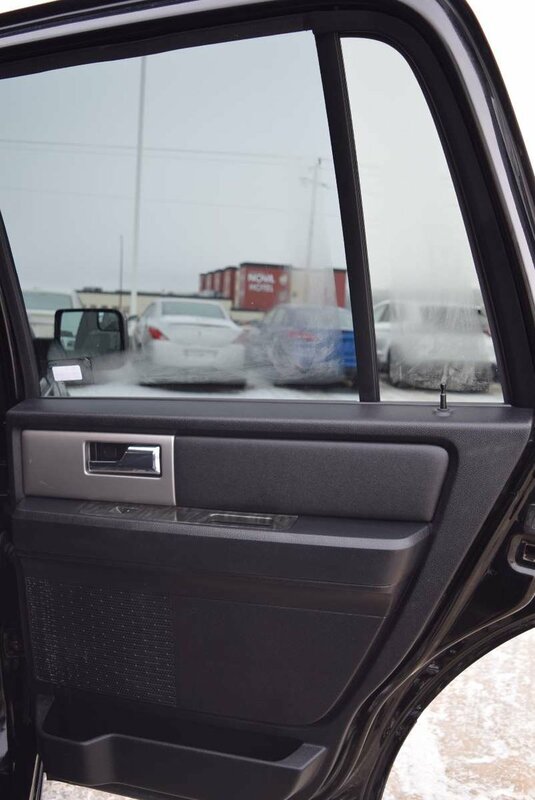 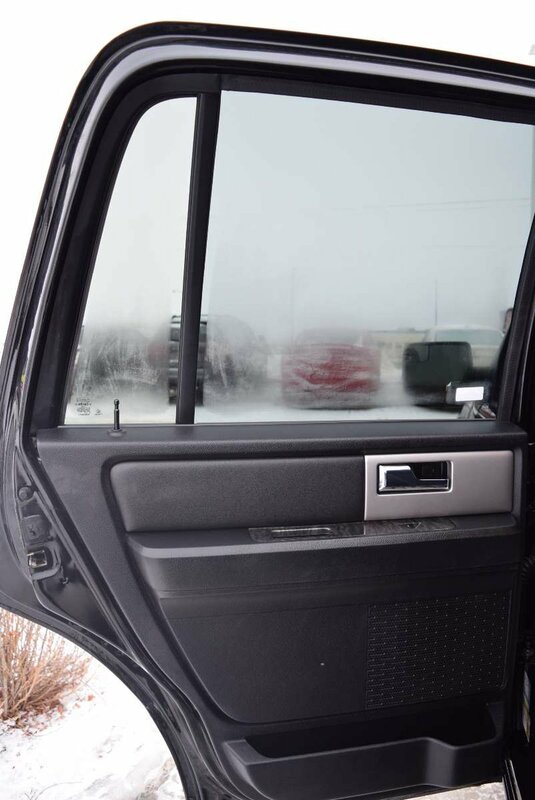 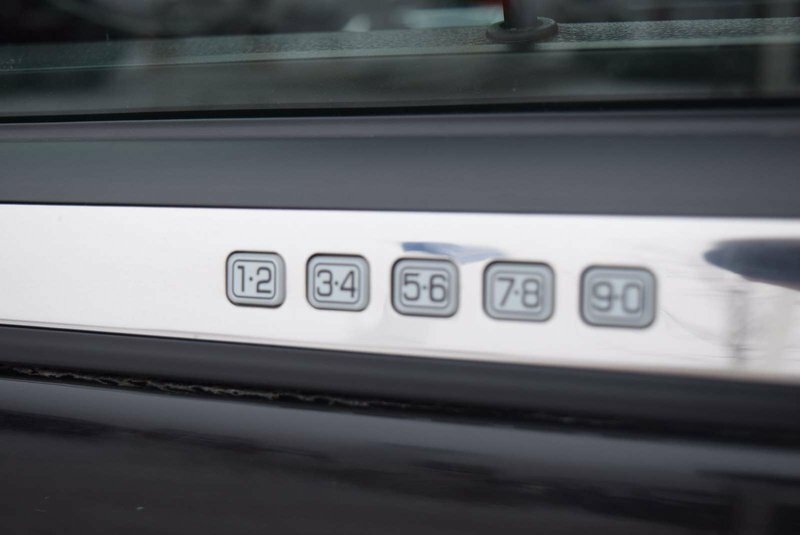 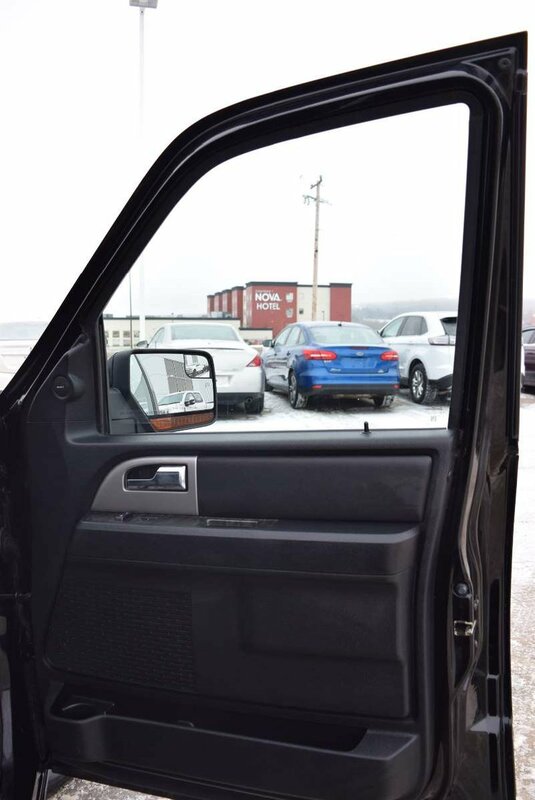 Thoughtful amenities such as a power liftgate, keyless start, power-adjustable brake and accelerator pedals, and a universal garage door opener make each day that much better. 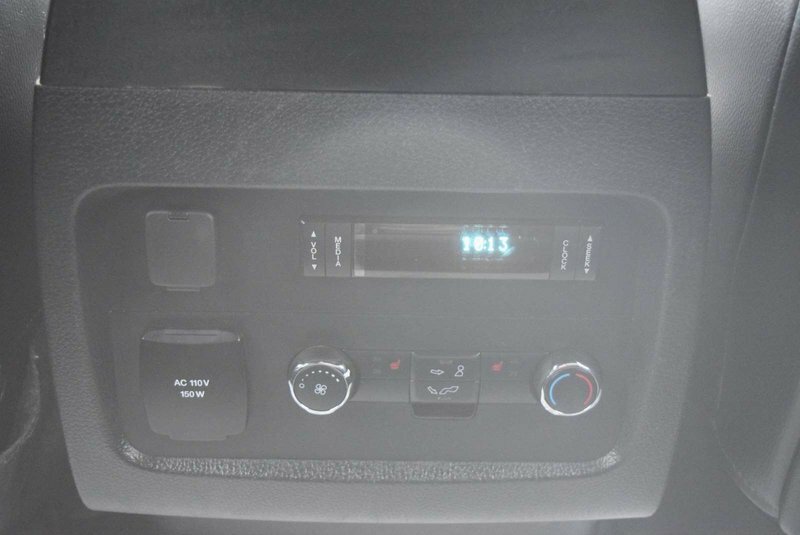 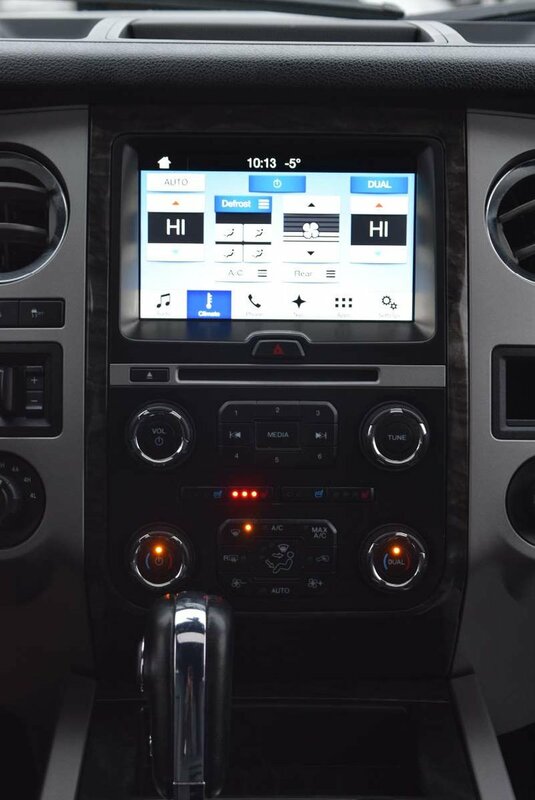 It's a breeze to maintain a seamless connection to your digital world thanks to the SYNC 3 interface and a Sony audio system with available satellite radio. 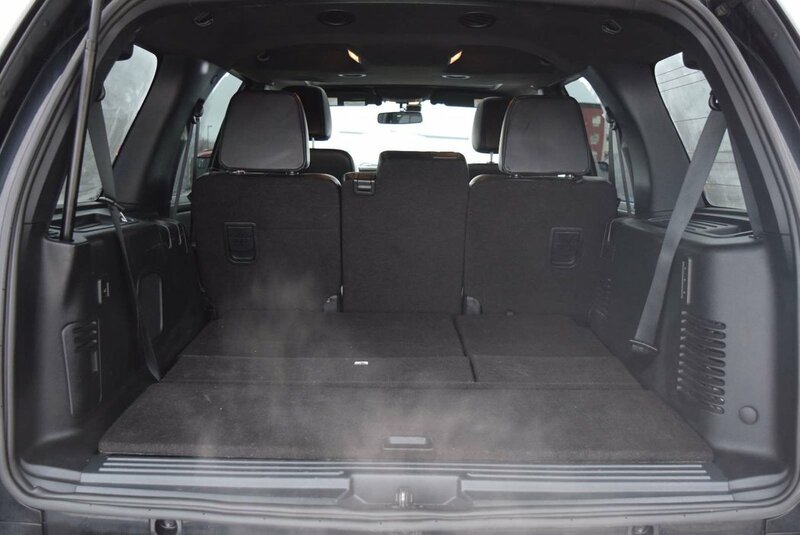 Appreciate the versatility of a split second-row seat and a power fold-flat third-row seat so you can have massive cargo carrying capacity when you need it.